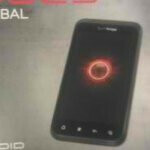 You know something is brewing when the HTC Droid Incredible is placed on Verizon’s “end of life” list – which might happen to be a good indicator of a potential successor on the way. 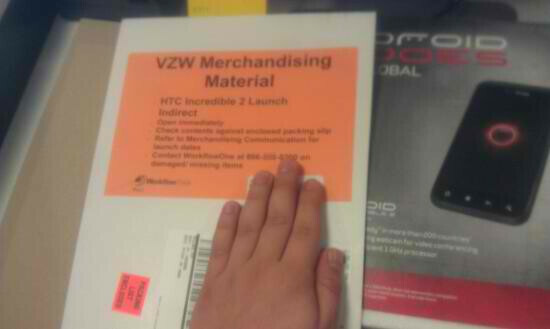 Adding more to the reality of the HTC Droid Incredible 2 is the fact that some indirect stores have begun receiving marketing materials relating to the upcoming handset. 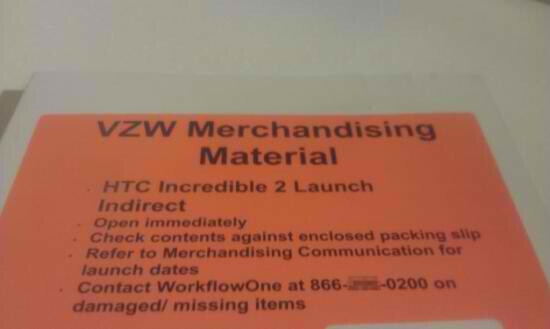 Obviously, you know that it’s coming soon when you see the word “launch” next to HTC Droid Incredible 2 within the documentation. Moreover, another quick snapshot quickly sheds some truth to the handset’s global functionality – which didn’t come light until only a couple days ago. Nonetheless, there is no denying that we’re nearing an eventual launch, but the only thing now left to complete everything is an official confirmation from Big Red. However, considering that the HTC Thunderbolt is dominating the scene right now, would you even consider checking out the HTC Droid Incredible 2 when it lands? I would. I want something smaller than TB. Plus a 7 or 10" tablet. To me that will be the best combination. from reviews i've seen of the Incredible S those seem to be the two very things that gives it a leg up over the Thunderbolt. As far as Verizon goes, Incredible 2 is on my personal short list. 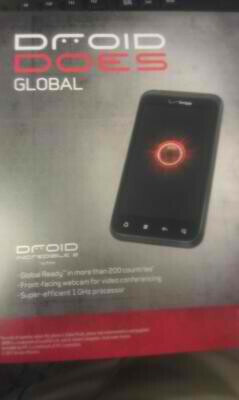 I am not impressed with the T-Bolt at this stage, but the bumpy ride of the LTE rollout may have a lot to do with that. Battery life? In this day and age? I have given up even complaining about it. If I have a phone that gives me my top concerns, I will just get a couple extra chargers, and call it a victory.